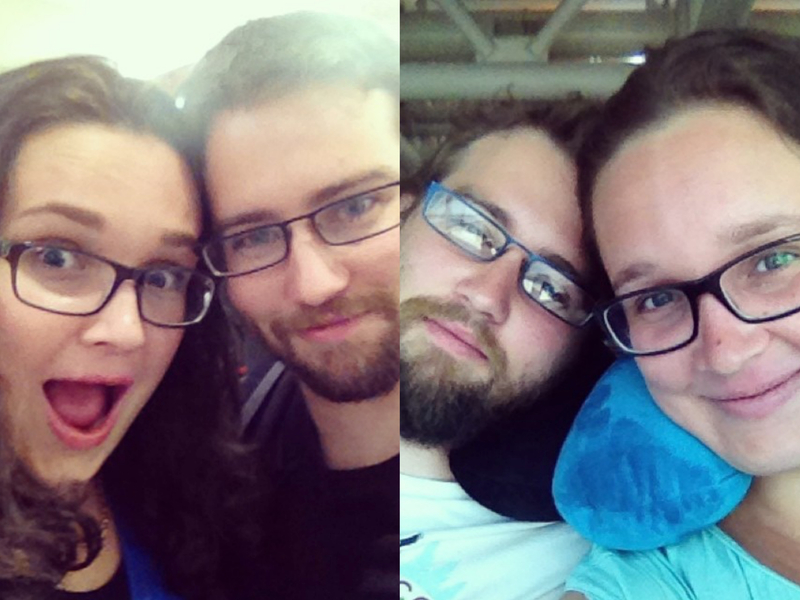 I can’t believe its been over a year since Edd and I had our two month trip to Europe. It seems like only yesterday that we were waiting for our 11pm flight to Heathrow, passports in hand and big (terrified) smiles on our faces. Waiting for our flight to London, and waiting at Rome to fly home two months later. Apart from a bit of a tan, and a bigger beard, we also learnt a few things along the way. I have lived overseas in Australia but never really done overseas travel, and so I feel like this two months taught me a lot in a short amount of time. Being exposed to different cultures, new experiences, constant challenges, plans that don’t succeed, endless days, language barriers – it was two months full of so many things I feel like I was away for years. Here are 10 of the many lessons that I brought home with me. Don’t underestimate yourself. I am stronger than I give myself credit for. Whether its walking for 8 hours after years of zero exercise, or dealing with train strikes in countries where my language abilities are not great, we never came across a problem that we didn’t solve. It isn’t until you throw yourself out of your comfort zone that you put your resources to the test. Appreciating each and every human interaction. I can be a little anti-social, and so being confronted every day with situations where I had to communicate and connect, sometimes without any language to assist, was a challenge and a half. But these moments are the ones that stick in my mind; the pair of young travellers who we talked with for four hours from Berlin to Prague, the man who collapsed against me in a Paris Metro, the two Italians at our local pizzeria in Florence who greeted us like old friends and laughed along each time we stumbled over the Italian menu. We are great at appreciating the times we spend with our friends, but I try harder now to make the most of any interaction, even if it’s just apologising for bumping someone on the street. These small moments of communication, that smile you give to a stranger as you both get caught in a rain storm, these are so precious. Get rid of expectations. Sometimes the places you don’t expect much of are the ones that take your breath and steal a place in your heart. Venice is one of those places that we allocated only a couple of days to, assuming that it was over-hyped and full of tourists. Turns out that it was every bit as incredible as I could have imagined. Expectations can restrict us and narrow our options, whilst getting rid of expectations means that you don’t make assumptions and instead have to experience things for what they are. It’s okay to have boundaries. Being cautious of people when travelling seems so pessimistic at first, but in the end it kept me and Edd safe and prevented any of our stuff from being stolen. This side of travelling actually taught me that it’s okay to have boundaries , both when travelling but also just in life, and that they are necessary to protect yourself and the things you love. Finding the value in getting lost. No where more than Venice did we learn how much there is to find when you don’t know where you are going. For someone like me, who is all about the lists and the plans and the maps, this kind of lesson was a pretty important one. Although I still like life to be rather structured, I can see now how important it is to embrace the unknown and explore without restriction, and although I may not go and get lost every weekend it is something I know I need more of. Cherish the small moments. A fresh orange juice in the morning, a beautiful sunset over Piha, the way the light catches the Eiffel Tower in the late afternoon, morning cuddles with a fluffy fur baby, a clean shower after a day in the hot Roman Sunshine. We ticked off so many amazing experiences, but the ones I want to cherish and remember are the small ones that weren’t planned but that gave us that warm feeling of contentment. And this has carried in to every day life, where I try to focus on all the amazing little moments that make up a day. It’s been so easy lately to look back on a day and feel stressed, underwhelmed, insecure or exhausted. And although these feelings are still valid, I have been trying to remember those little moments that bring a smile to my face, the same way that finding a friendly stray cat whilst we ate dinner on top of Montmatre did. I want to look back on life and remember the good moments, no matter how small or seemingly insignificant they might have been. Life is Short. And this isn’t meant to be a sad observation, but it was a reminder to me that I need to make the most of the time I have. Travelling made me realise how little we have experienced, and how much more we have to learn and to see. I think it may be time to book our next experience. Life is too short to be constantly afraid of making decisions, or to hold back and wait for more money, more time. Don’t act like we have forever and make the most of the life you have now, whether it’s by travelling or by staying home and watching movies in bed. Learn how to be good with money. We all know that money doesn’t equal happiness, and yet we wouldn’t have been able to go on this trip without putting aside the money and making sure we weren’t going to end up in Amsterdam with not enough dollars to get through the next month. Now when I want to go on a shopping spree I try and think about my priorities and ensure that my distribution of money matches this as best as possible. Stop carrying around excess baggage. We took two giant suitcases on our trip, and looking back we would have found it easier with less stuff and two backpacks. This obviously applies in life, and reminds me that life is easier when we discard the things that we don’t need to move forward. I’m trying harder now to make sure I know what I am carrying, and only take what is necessary and what gives me strength, leaving behind those dresses that I will never wear, or that relationship that does nothing but bring negativity in to my life. Appreciating the life I already have. Travelling through 12 incredible countries made me realise how lucky I am to live in New Zealand. Although I would go back to most of those places in a heartbeat, New Zealand is home and it’s where I want to bring up a family and spend my summers. I think I took a lot for granted, and in the last year I’ve done a better job at appreciating how amazing how beautiful country is. It’s made me appreciate how many cultures we are lucky to have create the tapestry of New Zealand, the friendliness of the people you meet on the streets, the incredible landscapes that are at our doorstep, the relative safety we take for granted, the freedom to grow and learn in a country which may not be any where near perfect, but has some of the best damn coffee in the world. 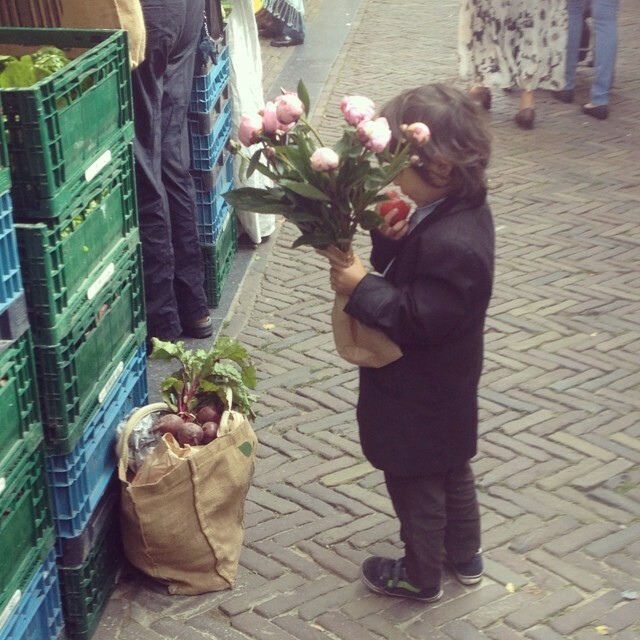 A little child in a suit, chomping on a tomato whilst at the markets in Amsterdam. Moments like these still bring such a big smile to my face. 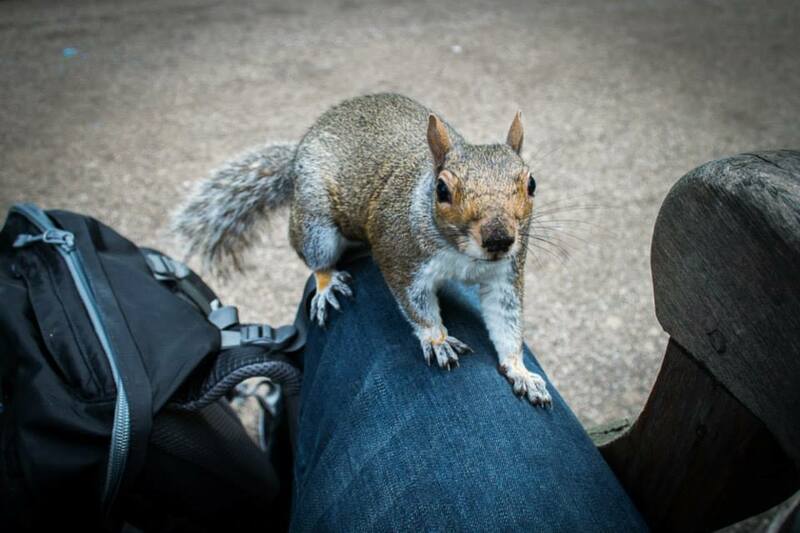 Making friends, especially with the local wildlife. 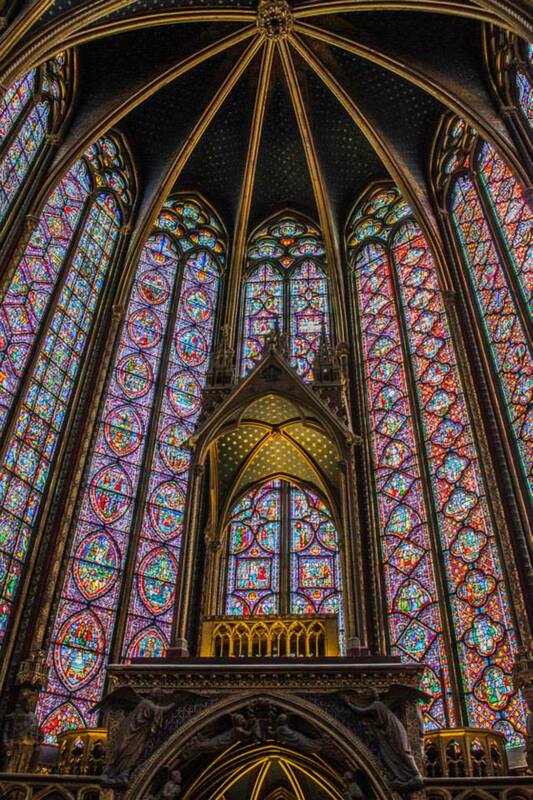 A couple of minutes walk from Notre Dame is one of the most incredible churches we set foot in, St Chapelle. 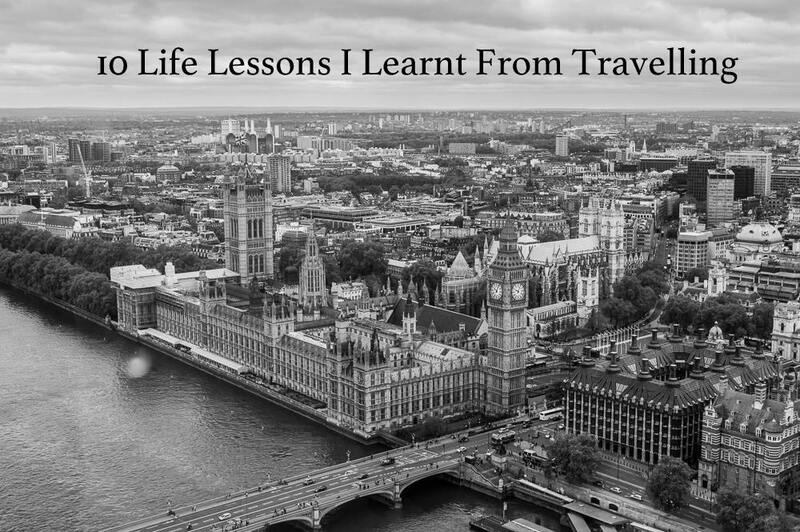 What is something you have learnt through travel? Every time I touch down in Auckland, I’m like ahhh. I’m HOME. Definitely agree on pushing your limits and realising your own flexibility and strength. And Venice! People hate on Venice and Paris for being smelly and touristy – maybe the latter, but definitely not the former. Fell in love with both places, they’re charming and beautiful. For me, the other thing is realising people are people no matter where you are. All over the world, we all want the same things.